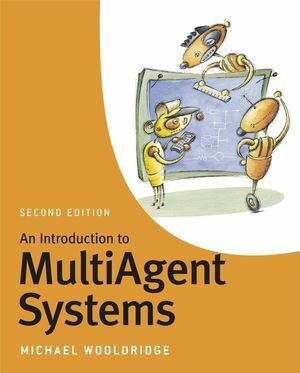 The study of multi-agent systems (MAS) focuses on systems in which many intelligent agents interact with each other. These agents are considered to be autonomous entities such as software programs or robots. Their interactions can either be cooperative (for example as in an ant colony) or selfish (as in a free market economy). This book assumes only basic knowledge of algorithms and discrete maths, both of which are taught as standard in the first or second year of computer science degree programmes. A basic knowledge of artificial intelligence would useful to help understand some of the issues, but is not essential. Michael Wooldridge is a Professor of Computer Science at the University of Liverpool, UK. He obtained his PhD in 1992 for work in the theory of multiagent systems and has, since then, been active in multiagent systems research. Completely revised and updated with 5 new chapters. Wooldridge is a leading authority in the field and edits Wiley's 'Agent Technology' series. One of the first books designed for this undergraduate course – and has become one of the market leaders.